Pet Care | "OUR WORLD"
Click here to read the company’s response to the FDA warning and posted on Facebook https://www.dogfoodadvisor.com/dog-food-recall/fda-finds-salmonella-listeria-in-hare-today-gone-tomorrow-pet-food/. United States is going to be hit with extremely cold and harsh weather! What Caused Nearly 50 PetSmart Grooming Deaths? Since 2008, there have been 47 documented cases of dogs dying during or after a PetSmart grooming appointment in 14 states, according to a disturbing new report published Sept. 20 on NJ.com. The number of deaths is probably even higher, since dog grooming is an unregulated industry. After the December 2017 death of an English bulldog named Scruffles at the PetSmart in Flemington, NJ, reporters Sophie Nieto-Muñoz and Alex Napoliello began a six-month investigation into the company. They reviewed lawsuits, media reports and veterinary records, and interviewed 100 pet owners as well as PetSmart employees, lawyers, grooming experts and veterinarians. The interviews with the owners of dogs who died as a result of being groomed at PetSmart are heartbreaking. Among them are Nick Pomilio, who in February 2017 took his English bulldog, Capone, to a store in the Philadelphia area for what should have been a simple nail trim. The appointment lasted nearly an hour, instead of the usual 15 minutes. Afterward, Capone was unable to walk, so store employees wheeled him in a shopping cart to Pomilio’s car. Capone died on the way home. The company refuted the number and cause of the dog deaths. It said it had no records of grooming some of the dogs mentioned in the report, while other dogs may have had underlying health issues that contributed to their deaths. “Any assertion that there is a systemic problem is false and fabricated,” it stated. So, how many dogs have actually died, according to PetSmart’s official records? Although one of the company’s stated core values is transparency, it will not release the numbers. Most of the documented deaths – 32 of them – occurred in 2015 or later. It’s probably no coincidence that PetSmart was bought by the private equity firm, BC Partners, in 2015. Since then, according to some longtime employees, there’s been growing pressure to increase the number of dogs groomed each day. Nearly half the dogs were English bulldogs and other short-nosed breeds and mixes that can have difficulty breathing in stressful situations and hot environments, such as a dryer. Trainees with little experience are sometimes put to work due to short staffing. Groomers, pressured to meet sales quotas, believe there is retaliation for speaking up about safety issues. In response to media attention to the death of Scruffles, PetSmart announced an action plan for improvement that went into effect in February. The company said an independent task force of grooming industry experts would review its training and safety standards. It would install cameras in grooming salons and and hold open houses, so pet owners could meet groomers and inspect the facilities. The company would offer specialized care for short-nosed breeds. Despite these promises, one month later, a corgi named Abby died during a grooming appointment at the PetSmart in Toms River, NJ. An employee called Abby’s owner, Chuck Crawford, and coldly told him his beloved dog was dead and where to pick up her body. You may be surprised that, unlike beauticians and manicurists who work on humans, pet groomers are not required to be certified or licensed (aside from a business license) in any U.S. state. Pet groomers are regulated in Miami and New York City, but there are currently no statewide or federal laws regulating this industry. Ask if the groomer has completed a training program and belongs to any professional groups, such as the National Dog Groomers Association of America. Make sure the groomer has several years of experience and can provide references. Check out the grooming facility to see if it looks and smells clean, is well-lit and the cages are the appropriate size. If you want to make a difference on an issue you find deeply troubling, you, too, can create a Care2 petition, and use this handy guide to get started. You’ll find Care2’s vibrant community of activists ready to step up and help you. 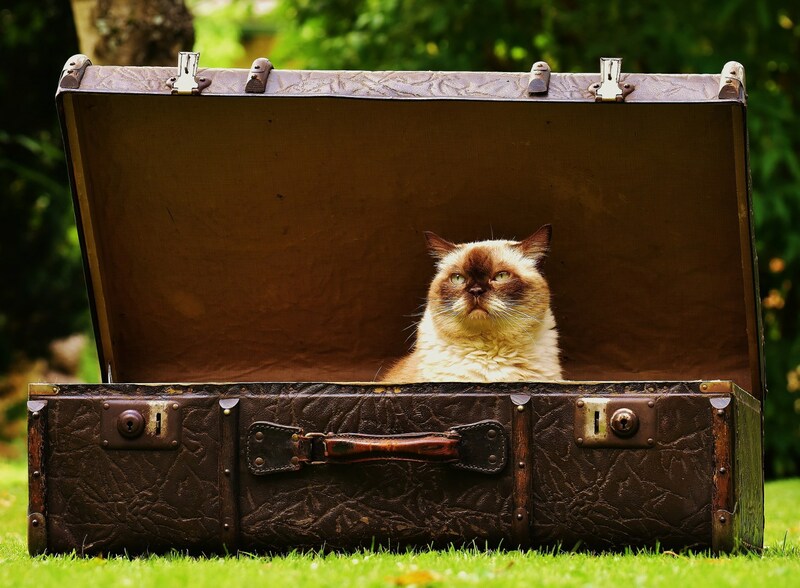 25 Breeds of Dogs and Cats – FIREPAW, Inc.
United Airlines has had a longtime sketchy track record for keeping pets safe during flights. Perhaps more important than a ban would be a trenchant review of their pet-care procedures overall. United Airlines will ban 25 different pet breeds when it resumes flying pets this summer, four months after a dog’s death prompted the airline to review its policies for transporting animals. United announced the changes less than two months after a bruising week of public-relations fiascoes involving dogs. A French bulldog died March 12 after a flight attendant had the pet and its animal crate placed in an overhead bin. In a separate incident, the airline sent a Kansas-bound German shepherd to Japan. United also took criticism over its record of animal deaths in 2017, when it accounted for 18 of the 24 animals that died on a major airline. The airline will no longer allow 21 dog and four cat breeds that are prone to physical problems from heat or other travel stress. It is no surprise that like human beings, even the animals also have food allergens. As an owner of the pet, it is expected of you to know what causes the allergy to your pet dog. Of course, you may not be able to consult the vet quite often. However, simple precaution you take to know the food allergens for the dog will go a long way to avoid the food your pet is allergic to. It might surprise you that the high-quality ingredients of the pet food also are the culprit to a certain extent. Introducing a shy cat in your home, ideas and helpful tips to start a new life with the new member of the family. We’re all aware of the H3N2 flu epidemic that’s made tens of thousands of people sick, but did you know the highly contagious canine influenza (CI) is also spreading across the United States and parts of Canada? Dogs are becoming infected with the canine influenza virus (CIV) through direct contact with other dogs, nasal secretions, contaminated objects like food bowls and leashes, and by people moving between infected and uninfected dogs, according to the American Veterinary Medical Association (AVMA). It’s important to note that dogs rarely get sick from humans with the flu, and there’s no evidence (for now, at least) that dogs with the virus can transmit it to humans – but cats in an Indiana shelter became sickened with it in 2016. There are currently two strains of the canine influenza virus (CIV) in the U.S.: H3N8 and H3N2. The H3N8 strain, which originated in horses and then spread to dogs, was first identified in 2004 in Florida’s racing greyhounds and has since spread to dozens of other states. Three years ago, the H3N2 strain caused a CI outbreak in Chicago. It was the first time this strain sickened dogs (and cats) outside Asia, where it had previously been identified. All dogs are at risk for getting the flu. CI is deadliest for puppies and senior dogs, as well as dogs with weakened immune systems. Fortunately, the death rate is under 10 percent. If your dog has any of these symptoms, go see a veterinarian. 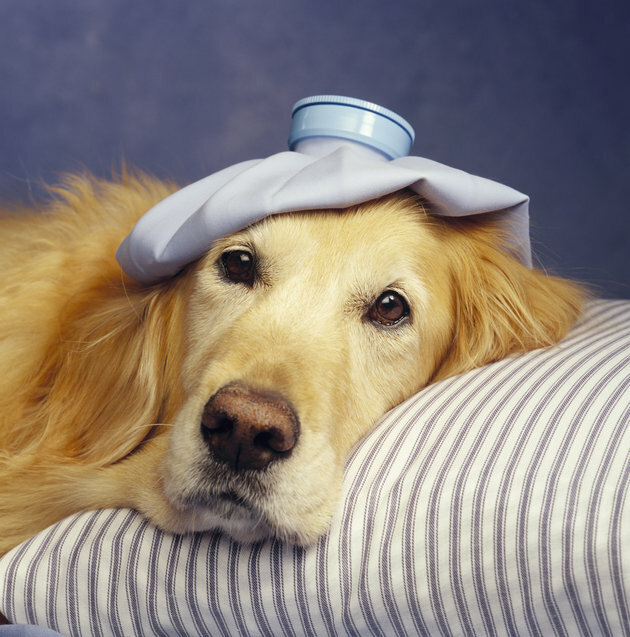 Because CI symptoms are similar to kennel cough and other illnesses, your veterinarian can run laboratory tests that will diagnose if your dog has the flu. If that’s the case, your vet may prescribe an antibiotic to fight secondary infections and an anti-inflammatory to reduce fever and pain. In severe cases, your dog may need fluid therapy to restore hydration, and hospitalization may be necessary. About 20 percent of infected dogs show no symptoms at all, but they can still be contagious. Does Your Dog Really Need a Flu Shot? Fortunately, just as for people, a flu shot is available for dogs. Although it may not completely prevent dogs from getting sick, it can significantly decrease the symptoms, severity and spread of infection. The vaccine can be given to dogs that are six weeks of age and older. The initial two vaccines are given to dogs six weeks apart. After that, dogs receive an annual booster shot. The AVMA refers to the flu shot as a “lifestyle” vaccination, meaning it’s recommended for dogs that are frequently exposed to other dogs at parks, boarding facilities, grooming salons and other places. You should confer with your veterinarian to see if your dog needs the vaccination. Be aware that many animal hospitals, kennels and other facilities now require all dogs to be vaccinated against CI. Isolate dogs that are infected or have been around an infected dog. Dogs infected with H3N8 should be isolated from other dogs for at least three weeks, while those infected with H3N2 should be isolated for at least one week. Wash your hands after you touch other dogs. The virus can live on our hands for 12 hours (and on our clothing for 24 hours). Thoroughly clean food and water bowls, crates and other shared objects. The viruses don’t typically survive longer than 48 hours in the environment, and can be killed by disinfectants (just make sure any cleansers you use are pet friendly). Since CI can quickly spread in places where dogs are in close contact with each other, please sign and share this petition urging U.S. animal shelters to ensure all dogs stay healthy and adoptable by being vaccinated against the flu. It’s officially flu season and not just for humans. Veterinarians in San San Francisco area are warning dog guardians about a highly-contagious dog flu that is sweeping the country. Know the signs and take your dog to the your veterinarian immediately.